According to the knife laws in Idaho, any knives can be owned and be carried openly. But there is quite a long list of restrictions on concealed carry knives. Blade size is also a big matter here. Knife laws in Idaho are pretty complicated than the other states and you got to remember a lot of things while knowing about the laws. Hope this article might help you with that. No knives are banned or illegal in Idaho. Pocket knives of any blade size are legal. Switchblades, gravity knives, and all other automatic knives are legal. Bowie knives (Here’s a product guide about Bowie you can check out) are legal. Throwing stars, throwing knives and others martial arts’ weapons are legal. Knives that are disguised under lipstick, pen, cane, belt etc. are legal. So, almost all sorts of knives are legal here. But there are some rule and regulations while using those. Idaho is very strict for carrying knives concealed. Carrying any deadly or dangerous weapon such as dirks, daggers, and bowie knives concealed is a crime. These dangerous or deadly weapons may cause serious injuries or even death. Some kind of knives or cleavers or other instruments that are used for processing, preparation of eating food are not under deadly weapons. Also, the knives with four (4) inches of blade size or less are not under the deadly weapons. So, these sorts of knives are safe if it’s concealed. If a person is under the influence of an intoxicating alcohol/drink or drug, he/she cannot carry a concealed weapon/knife and it would be a misdemeanor. The code 18-3302B says about this. are peace officers on their duty. Security personnel on their duty. A person having the authority over the building or facility. The Code 18-3302C tells about these all. When is a licensed knife not mandatory? On any private property with the permission from any person with the ownership. It is guilty of a misdemeanor if anyone sells any weapons/dangerous knives to any minor under the age of eighteen (18) years old without the written consent of the parent or guardian of the minor. Here the weapon means, any dirks, daggers, Bowie and other dangerous knives. What will be the punishment? Imprisonment in the county jail for a term of not more than six (6) months. These laws are mentioned in the code 18-3302A. Code18-3302A: SALE OF WEAPONS TO MINORS- “It shall be unlawful to directly or indirectly sell to any minor under the age of eighteen (18) years any weapon without the written consent of the parent or guardian of the minor. Any person violating the provisions of this section shall be guilty of a misdemeanor and shall be punished by a fine not in excess of one thousand dollars ($1,000), by imprisonment in the county jail for a term not in excess of six (6) months, or by both such fine and imprisonment. When can a minor possess a knife? has the written permission from the parents. is accompanied by the parents when he/she has the weapon/dangerous knife in his/her possession. *If any minor under the age of twelve (12) years possess a weapon/dangerous knife should be accompanied by an adult otherwise, it will be guilty of a misdemeanor. The code 18-3302E says details about these all. (b) Is accompanied by his parent or guardian while he has the weapon in his possession. (2) Any minor under the age of twelve (12) years in possession of a weapon shall be accompanied by an adult. As it is mentioned earlier, the knives with four (4) inches of blade size or less are not under the deadly weapons. So, knives over four (4) inches of blade size are dangerous ones and are illegal to carry concealed in Idaho. Pocket knives with a blade size of 2.5 inches are allowed in school. Any deadly or dangerous knives are not allowed and it’s illegal to possess in any building, stadium or other structure on school grounds. Whoever disobeys the law will be punished and this is guilty of a misdemeanor. The code 18-3302D says it all. “18-3302D: POSSESSING WEAPONS OR FIREARMS ON SCHOOL PROPERTY- (1) (a) It shall be unlawful and is a misdemeanor for any person to possess a firearm or other deadly or dangerous weapon while on the property of a school or in those portions of any building, stadium or other structure on school grounds which, at the time of the violation, were being used for an activity sponsored by or through a school in this state or while riding school provided transportation. No dangerous weapon is allowed on school premises but the pocket knives are allowed with a blade of fewer than 2.5 inches in length. 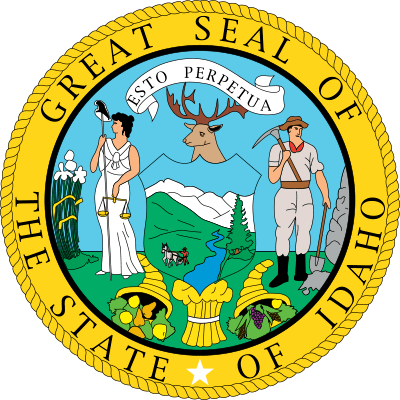 As it is mentioned at the beginning of the article, Knife laws in Idaho are pretty complicated and strict than the other states and you got to remember a lot of things while knowing about the laws. All knives are legal to carry openly in Idaho. 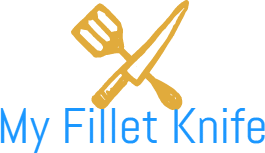 But the rules and regulations are applicable for concealed carry knives especially for dirks, daggers and bowie knives and other dangerous or deadly knives. Age is a matter here and licensing or permit to carry knives are big issues. Overall, knife laws in Idaho are not that tricky at all. You just need to remember some important factors.